The Association was formed in 1926, when a meeting was held in the YMCA room, Kendal, where a large company of interested sheep breeders met. The area covered includes a large portion of the fell land in the former counties of Westmorland and the West Riding of Yorkshire, now largely in Cumbria. 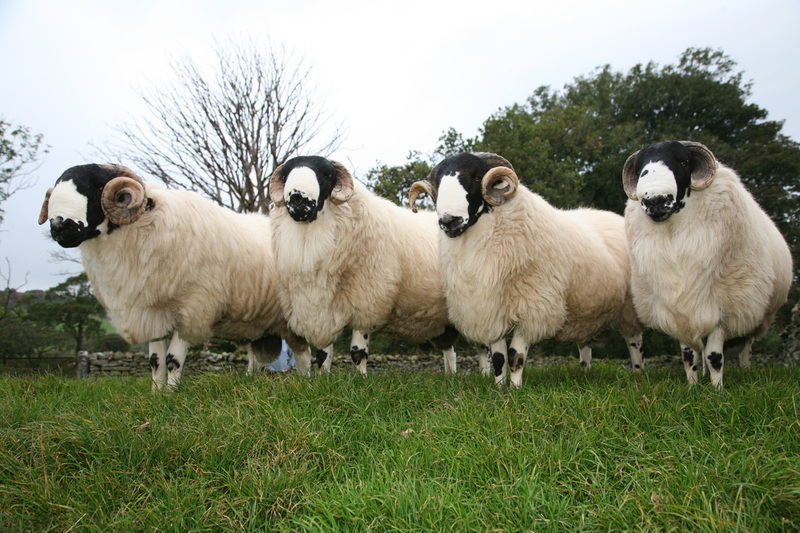 The Rough Fell sheep is ideally suited to endure the hardship of exposed and high lying places, but will settle placidly in a lowland farm or smallholding. The ewes are excellent lamb rearers and are also in great demand to breed the Rough Fell mule, the ultimate milky mother. These mules are crossed with a terminal sire to produce excellent carcasses for the production of meat. The Association has three districts; K for Kendal, S for Sedbergh and T for Tebay, Orton and Ravenstonedale. Members from anywhere are welcome to join and will be included in the K district group. All registered rams have an Association ear tag, with a star, district letter and number. We hope you enjoy our website, do get in touch via the contact page if you have any comments or enquiries or would like to join the Association.